How to set up the right lighting for video recording session. ? A professional video recording done in a studio looks great compared to a simple recorded video. By following some simple tips on lighting for video recording, one can create a professional video at home or office. The right lighting makes the video more engaging by pulling the viewer’s attention towards the subject. A proper lighting for video recording also helps the person make eye contact with the camera. It shows your professionalism and credibility while giving a great viewer experience. The subject of the video should be properly illuminated and discernible from the surroundings. Diffused light is the best. Use two light sources on either side of the camera to illuminate the subject. Keep the light sources at slightly away from the camera. The brighter the light, the better until it glows off or shines from the subject. The light should not dazzle the subject. The subject should be able to look directly into the camera lens without straining his eyes. A bright light by the side of camera will dilate the subject’s pupil and result in red eyes. No visible light source should be directly behind the subject. A soft light behind the subject helps in giving more depth look to the camera. 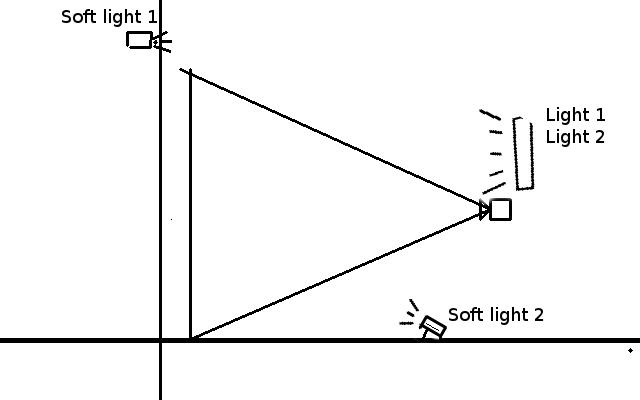 Keep this light source diffused and put it just outside the view field of the camera. This light should not be visible from the camera. The exact location of this light depends on the depth you want to project. 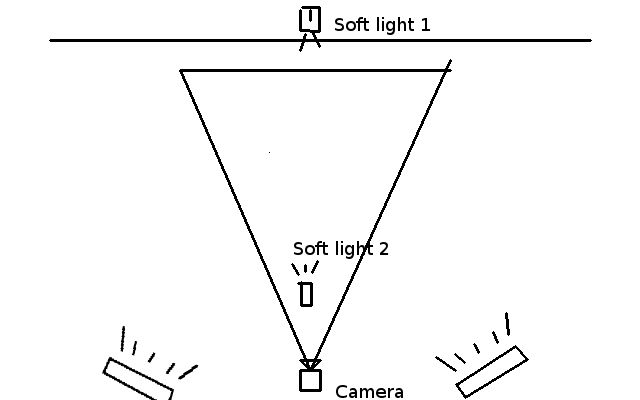 Optional: You can also use another soft light in front of the camera on the floor projected directly on the subject. This light provides fill in the video color and make the subject stand out from the background. The background of the video should be plain or something relevant to the video. If you are still searching for the right place where the background looks good, I suggest using a backdrop to create a background. A colored or white background requires extra lighting because the background must be uniformly illuminated. Ensure the backdrop is smooth and without wrinkles. If you are thinking of customizing your video background, get a green backdrop. Glasses are very annoying when they reflect light and hide the subject’s eyes. Non-reflective glasses help only to an extent. If the reflection on glasses is a problem, then pull both the side lights away from the camera. Try to get a broader(more area) light source. Put a thin white sheet of paper on the light source to make it diffused. It will also reduce glow and reflection from the subject.